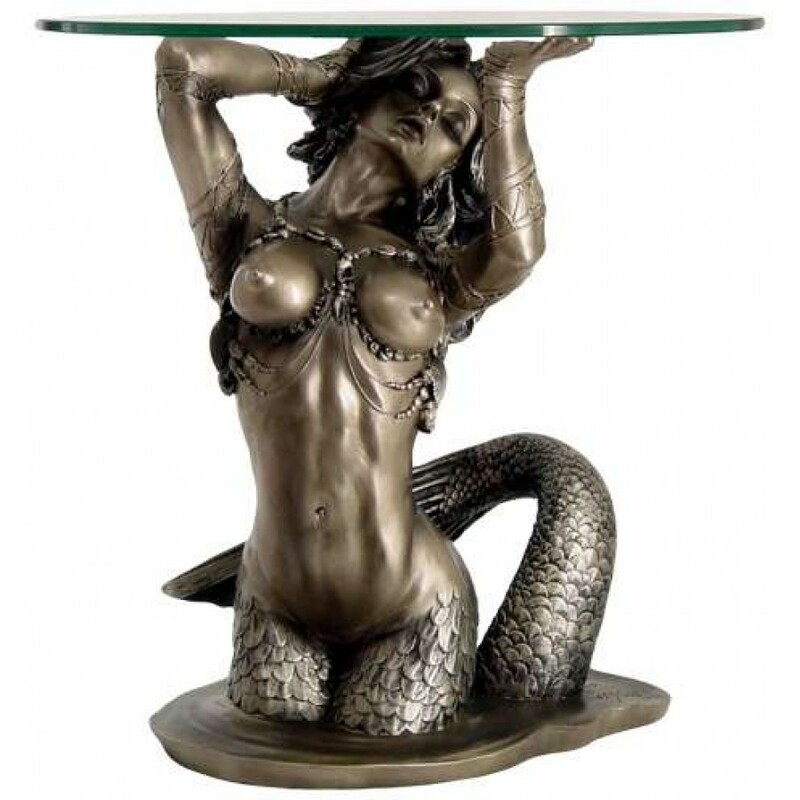 Artist Monte Moore created this stunning mermaid statue turned into a side table 16 3/8 inches high. 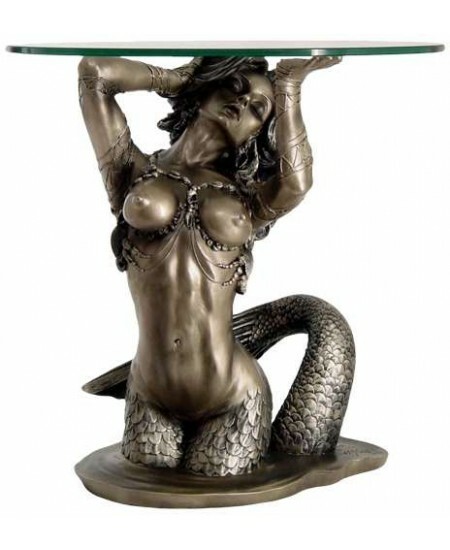 Beautifully detailed mermaid by Monte Moore is 13 x 8 7/8 x 16 3/8 inches tall. 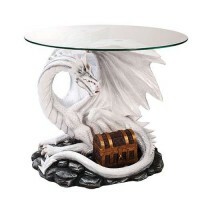 Cast resin table is reinforced with wood and fiberglass with a beveled glass top. Measures 16 3/8 inches high. Due to the size and weight of this piece, it may not be shippable to all countries outside the US. Please contact us before ordering if you are not in the United States. Item Number: PT-11495 | Approximate Size (Inches): 13.00 wide x 8.78 deep x 16.38 high | Approximate Shipping Weight: 15.00 lbs. Absolutely gorgeous! This mermaid statue sold out when we offered it a few ..